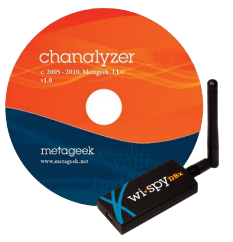 If you take radio interference seriously, get a Wi-Spy DBx device along with Chanalyzer 5. 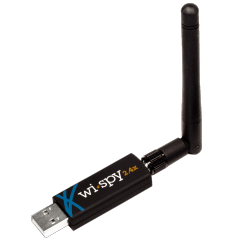 Includes a dual-band Wi-Spy DBx and the Chanalyzer 5 spectrum analysis software. 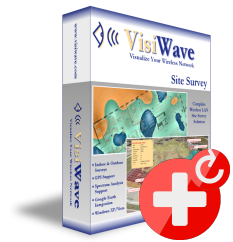 Covers 2.4GHz and 5GHz frequency ranges. 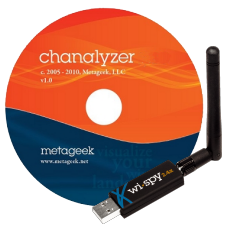 If you take radio interference seriously, get a Wi-Spy 2.4x device along with Chanalyzer 5. 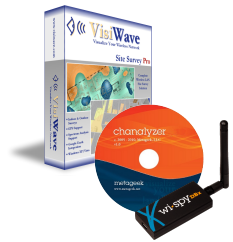 Includes a Wi-Spy 2.4x and the Chanalyzer 5 spectrum analysis software. Covers the 2.4GHz frequency range. 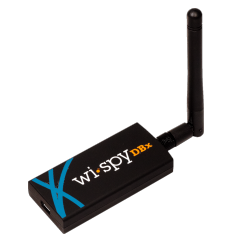 If you already have VisiWave and want the ability to create interference heatmaps within VisiWave, then the dual-band Wi-Spy DBx spectrum analzyer is all you need. 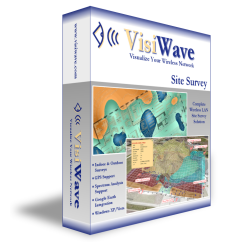 NOTE: Does NOT include spectrum analysis software. 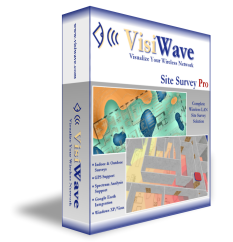 Covers 2.4GHz and 5GHz frequency ranges. 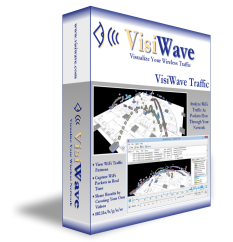 If you already have VisiWave and want the ability to create interference heatmaps within VisiWave, then the Wi-Spy 2.4x spectrum analzyer is all you need. 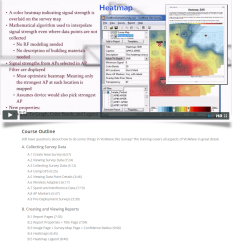 NOTE: Does NOT include spectrum analysis software. Covers the 2.4GHz frequency range.